Super Eagles and Las Palmas midfield engine room Oghenekaro Etebo will undergo a fitness test this morning ahead of Saturday’s La Liga match against struggling Deportivo de La Coruña. The Nigerian international who is reportedly injured was however surprisingly named to Las Palmas 25-man provisional squad, along side fellow Nigerian Imoh Ezekiel for the match against Deportivo de La Coruña. Although Etebo has not trained with the squad since last weekend’s home loss to Villarreal in which he was substituted at half-time due to an injury caused by a discomfort in the quadriceps muscle. Preliminary radiological tests conducted Thursday morning revealed that there was no breakage in the damaged area, and manager Jémez has stated that he will wait until the end of this morning’s session to see how he responds and this will ultimately decide whether he plays or not on Saturday. 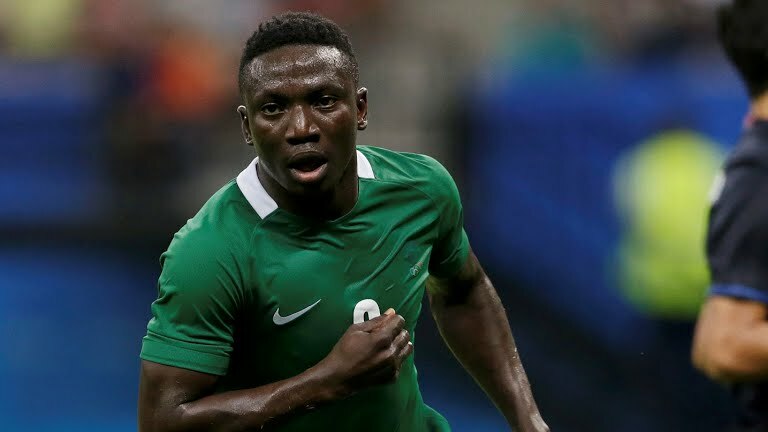 The injury not withstanding, Oghenekaro Etebo has said that he plans to report for international duty on Monday provided his visa application is successful at the Embassy in Madrid. The attacking midfielder might well be in action for the Super Eagles of Nigeria against Poland at the Municipal Stadium Wroclaw for the international friendly match on March 23rd.